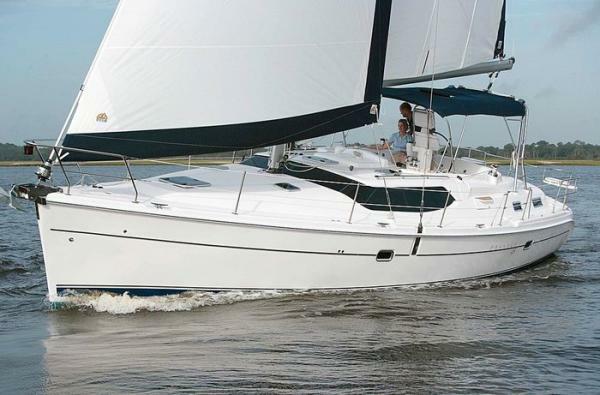 Sail the stunning Chicago skyline in this 44-foot Hunter sailboat rental! Designed for smooth sailing and accommodating up to 20 passengers, this boat will set the tone for that special occasion with a sophisticated sense of ease. Chicago has a surprising array of waterfront activities, including fine dockside dining, shopping, shows, and entertainment. What better way to experience the city than on a lavish sailboat? With a proven B & R rig, Hunters are among the easiest boats to navigate on any waters. The 110% genoa is easy to tack and easy to grind in. The large in mast furling mainsail features end boom sheeting to give you greater control at low sheet loads as well as a long traveler to get the most from your sail trim. The deck area features plenty of space for passengers to sprawl out, sunbathe and relax. Below deck, you will find upscale quarters and showers. If you are picturing a day cruise or an evening trip lit by the Chicago skyline, this versatile craft is ideal! There is never a need to watch other boats and yachts sail past when you can rent the lifestyle anytime you please from Imagine Lifestyles Luxury Rentals! Available corporate charters upon request. Don’t rent out the same old hotel for this year’s company event—take your office party out on the water!